crafting with katie: MCT Birthday Palooza! It's Birthday Palooza with My Creative Time! I made this happy birthday card by using the stencil from the A Sunny Hello Kit with some Tim Holtz Distress Inks to give my background a fun rainbow look. I trimmed this with one of the Stitched Square Dies Inside & Out. I then added "happy" from Happy Everything and stamped "birthday," also from this set, onto a banner made from one of the Stitched Decorative Banner Dies. A few sequins finished off this card! Love the colorful circles in the background. Love how cheerful it looks. Lovely birthday card! OMG Miss Katie What a GORGEOUS Card!! 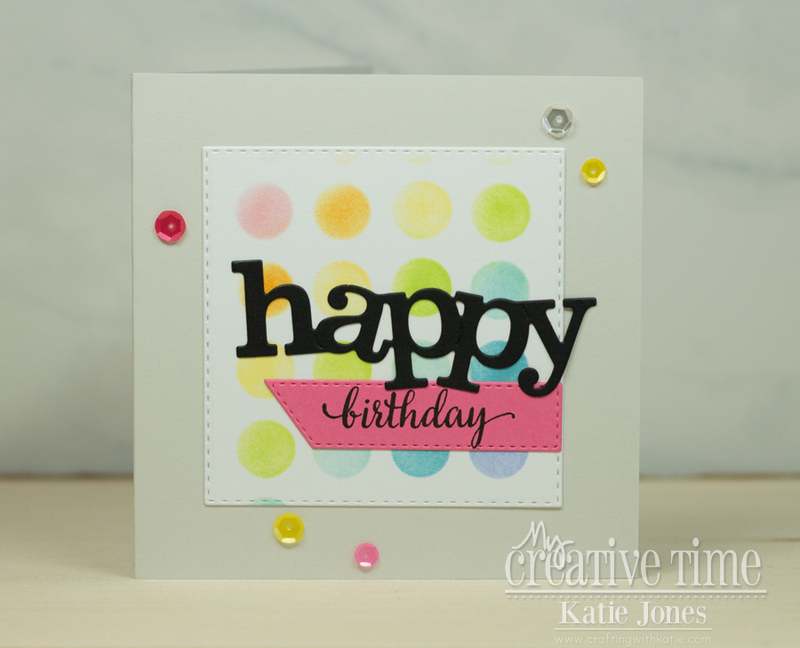 The colors are so soft and Pretty and Great Creative Stencil job..It so showcases the Happy Birthday and your Sentiment tag. You so did a Super Incredible Creative job showcasing more amazing Creative ways to use Miss Emma's fab dies and stamps!! YOU so ROCK! !